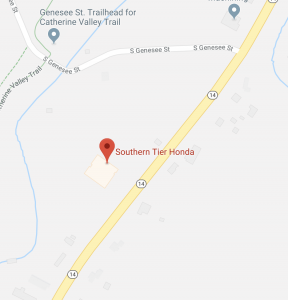 Southern Tier Honda was formed in 1998 by Gary House. A local born and raised in Montour Falls loving power sports from a young age and after working for 10 years in a dealership Gary decided to open his own. Now a full service Honda dealership selling and servicing Honda motorycles, ATV, SXS, and generators for 20 years.